When it comes to your overall health, if you could prevent all illness or disease by doing certain things you would. When it comes to your oral health, there are things you can do to prevent disease. Some of these things are very easy, but many people still do not do them. Preventing dental problems saves extra time in the dental chair due to the need for a complex procedure that costs a lot of money. And don’t forget the discomfort that put you in the chair in the first place. 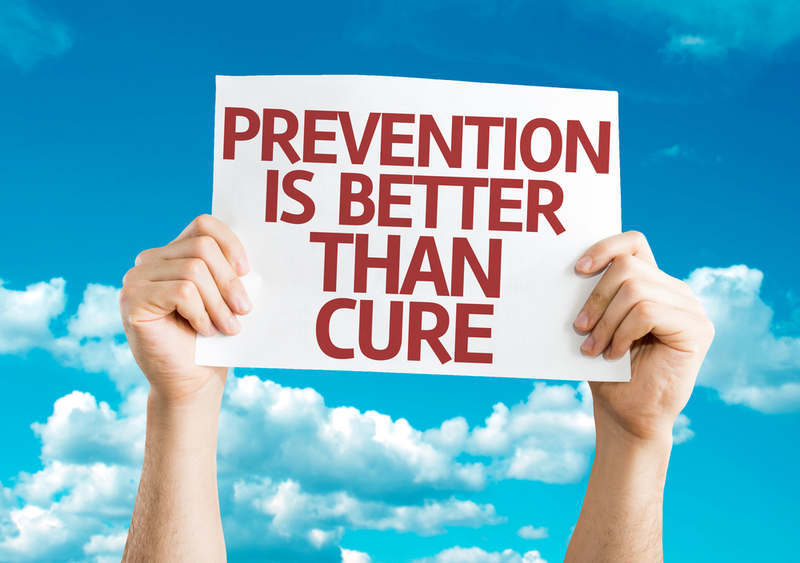 Preventive dentistry is worth more than you think. 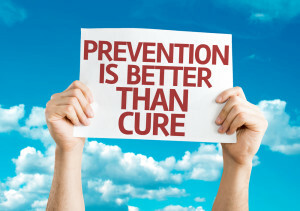 The first step in prevention is oral home care. It is inexpensive, easy, and goes a long way. The American Dental Association recommends brushing your teeth at least twice a day with fluoride toothpaste, flossing daily, and rinsing with an antibacterial mouth wash. The ADA also recommends reducing the amount of sugars and starches that you eat and choosing tooth-friendly foods like crispy, fresh vegetables, and drinking water instead of soda. The next step is to attend your twice-yearly dental checkups and professional cleanings. During your checkups your hygienist will take annual x-rays to catch any underlying or developing problems that can’t be seen with the naked eye. He or she will check for decay, and scrape off any tartar deposits (calcified bacterial plaque) on your teeth and around your gums. Tartar left untreated can lead to gingivitis, periodontal disease, and tooth loss. Your teeth are polished with a rubber prophylaxis cup and gritty toothpaste to create a smooth surface, making it difficult for bacteria to adhere. Your teeth will be flossed and you will receive a fluoride treatment. Because once plaque forms into tartar it can only be removed via a professional cleaning, your biannual checkups and cleanings are imperative to your preventive dental health. With over 25 years of professional experience, Dr. Steven M. Huffstutler and his caring team proudly provide exceptional preventive, cosmetic, and restorative dental treatment to patients and their families across Dallas/Ft. Worth, including North Richland Hills, Denton, the Mid-cities, Southlake, and all surrounding communities. We also have extensive experience helping patients find relief from painful TMJ disorders (various forms of jaw dysfunction). To schedule an appointment with Dr. Huffstutler, contact our Fort Worth, TX office today by calling 817-577-1444.